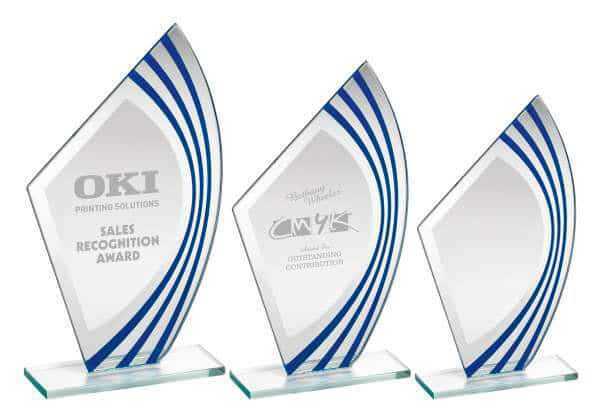 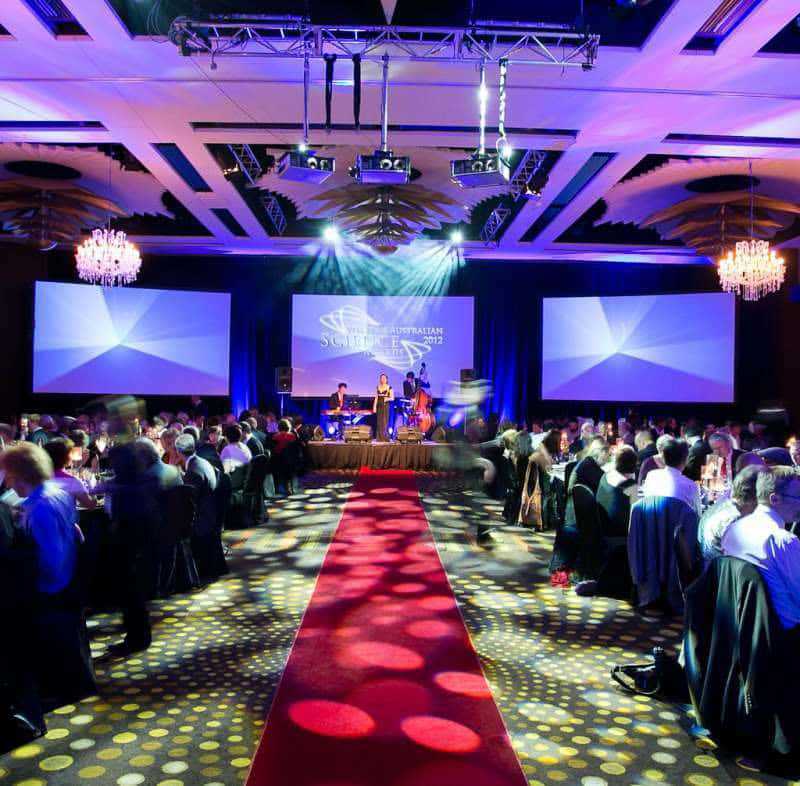 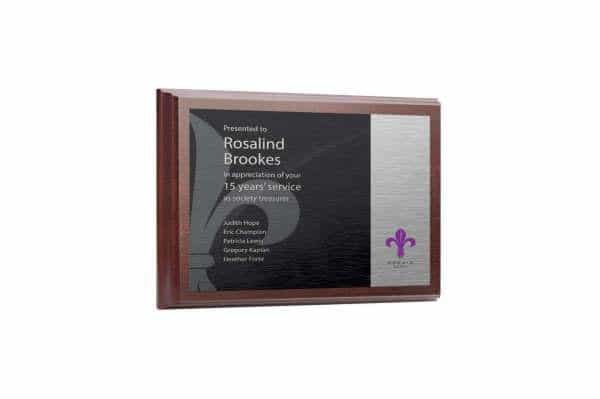 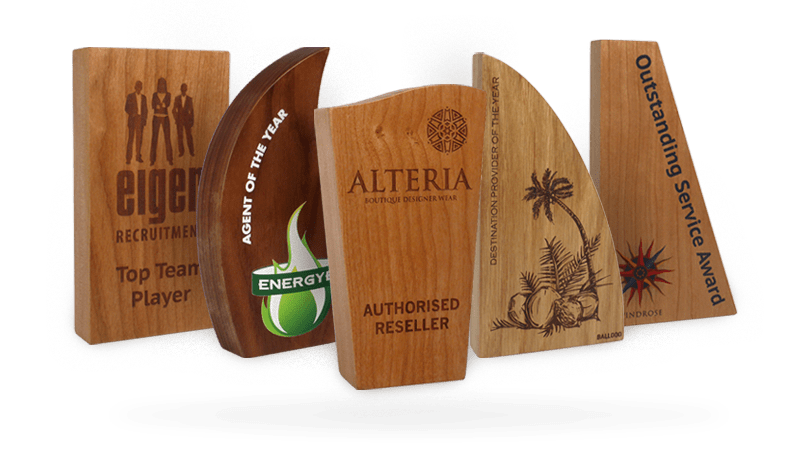 Perfect for rewarding your highest achieving employees and business associates for their hard work, this stunning Indigo Ice Drive Award features a blue sail-shaped column mounted on a sturdy base. 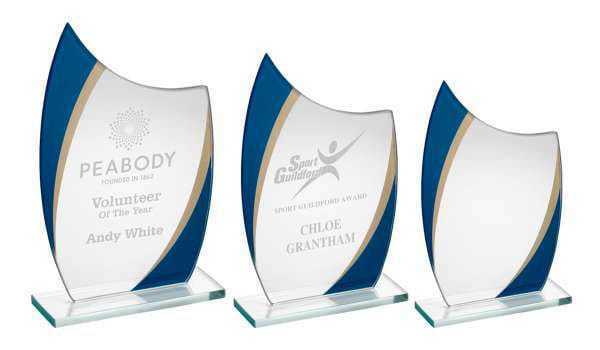 The body of the trophy itself can be engraved with the recipient’s name and you can also add your company logo for a commemorative touch. 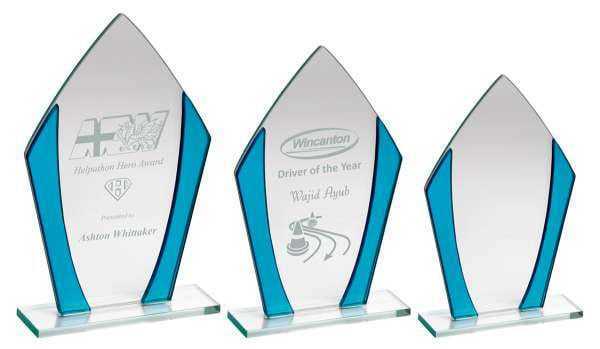 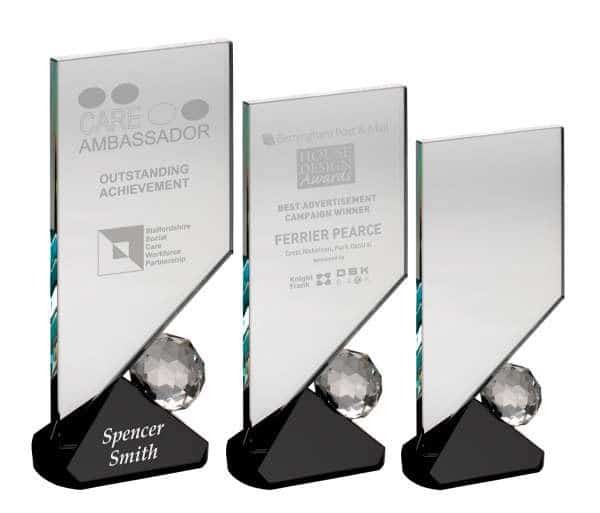 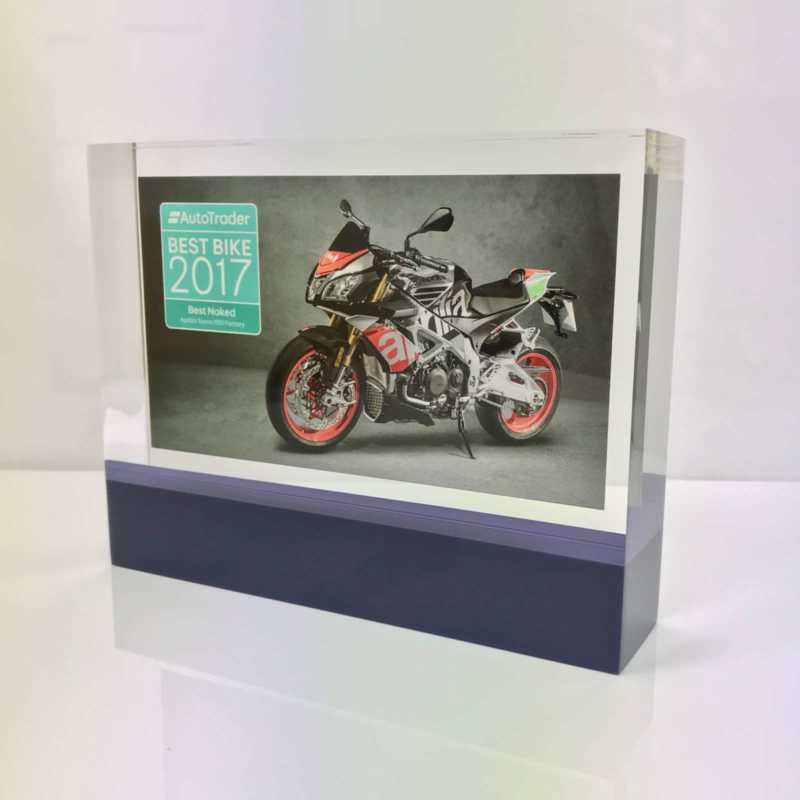 This acrylic award is a very prestigious piece and comes in three different sizes: 22cm, 27cm and 31cm.